If your decks, fences, floors and furniture still look nice, but missing that richness and warmth you want, staining and varnishing timber can be the solution. However, doing it yourself requires a lot of your effort and it is time consuming. Moreover, achieving an even stain is difficult and that is why you should leave the job to professionals. With over 15 years of experience, at Watson Painting, we have the expertise and knowledge to complete any staining and varnishing timber in Canberra for you. In order to attain results you desire, for finishing off your timber work, we have many options available. We use both oil and water based products as well as clear top coats for achieving different looks from mat to high gloss. 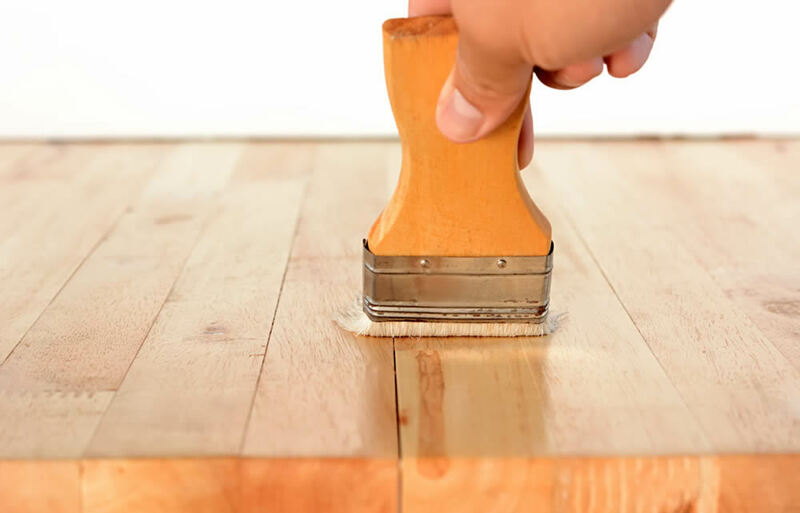 Before applying coats of stain, we will remove all the imperfections and once we are done you are left with a spotless surface that you can be proud of. Choosing the right stain colour for your timber can be confusing. This is why we make the whole process smoother and easier for you by applying samples directly to your surfaces so you get the right picture of what the stain will look like before we start. At Watson Painting, our dedicated experts have completed hundreds and hundreds of staining and varnishing timber projects throughout Canberra. A large number of our loyal and repeat customers show our determination to provide outstanding workmanship and first-rate customer service. Having your total satisfaction in mind, we offer our services at the most affordable prices in the entire city.